NO PREPARATION! 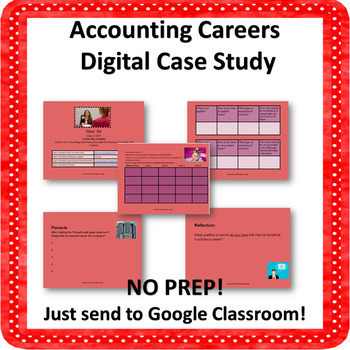 Allow your students to discover accounting careers. Students meet Bri. Bri is an auditor for a large firm. She used to work for one of the Big Four Accounting Firms. They learn about the 4 companies known as the Big Four Accounting Firms. Students learn about accounting as a career. They also learn about the firm in which Bri currently works. Students reflect on skills that they have that could be beneficial in an accounting career. Great 21st Century, career discovery, real world activity!